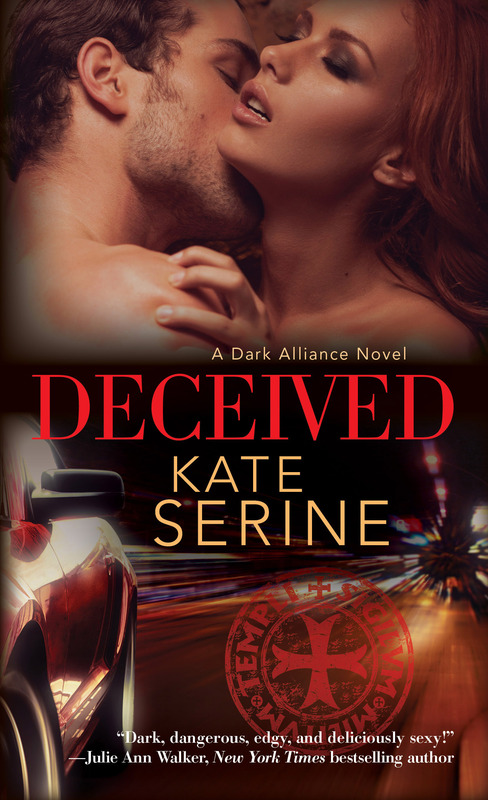 “A rising star in romantic suspense, Kate SeRine combines action and romance to deliver a dark and sensual story that will keep readers turning the pages. Deceived is must-read.” – Cecy Robson, 2016 Double-Nominated RITA® Finalist for ONCE PURE and ONCE KISSED. “I thought we were safe here,” Sarah said, her arms crossed over her chest. “We’re as safe here as anywhere until we get to my place,” Luke assured her. Luke stared at her for a long moment, trying to figure out the answer to her question. Hell if he knew why it mattered so much to him that he keep them safe. In the technical sense, he protected people every day and had for going on fifteen years when he added up his time in the military and then working for the government and now with the Alliance. But she was right—this assignment was hitting him on a level he hadn’t anticipated. The next thing he knew, Sarah’s arms were around his neck, hugging him tightly. He resisted the urge to wrap his arms around her and hold her close, to bury his face in her hair and let the warmth of her wash over him. But when she pressed a kiss to his cheek and whispered, “Thank you,” in his ear, he almost gave in.